Group treatment has long been recognized as an excellent treatment intervention. With the changing reimbursement, it is also a tool for reaching your financial goals. 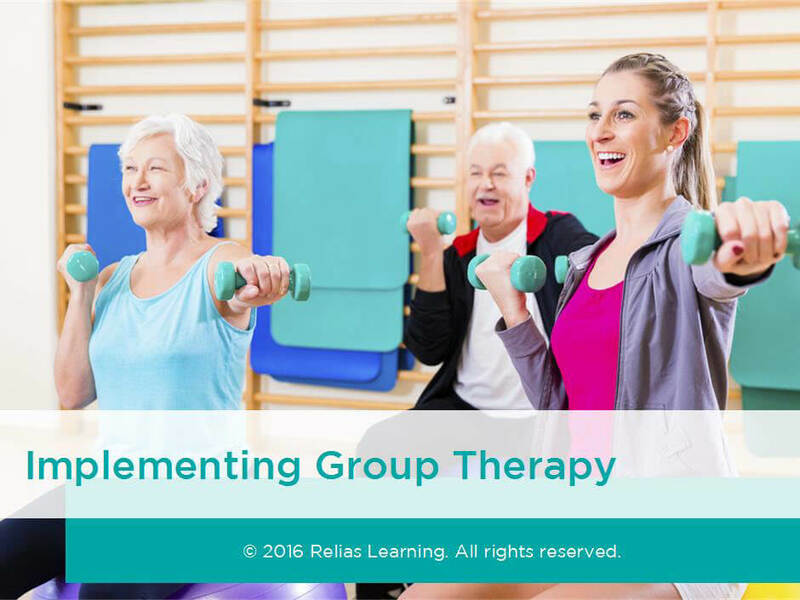 This is a dynamic approach to treatment that uses group therapy in conjunction with individual treatment. Theories as well as practical application are covered. This comprehensive look at Group Therapy takes you from patient selection to actual group protocols. This course has been approved by the Alabama State Board of Occupational Therapy for 1.00 contact hours, approval number 20-557529. This course has been approved by the Florida Board of Occupational Therapy for 1.00 contact hours, approval number 20-557529. This course is approved by the Ohio Physical Therapy Association, approval number 18S0237. This activity is approved for 1.00 contact hours. Oklahoma Physical Therapy Advisory Committee has approved this course under Category B. Approval # 201910104. This activity is approved for 1.00 contact hours. This course is approved by the Ohio Physical Therapy Association, approval number 19S0015. This activity is approved for 1.00 contact hours. This course has been approved by the West Virginia Board of Physical Therapy, approval code REL-R19-18. Approval of this course does not necessarily imply that the WV Board of Physical Therapy supports the views of the presenter or sponsor. This activity is approved for 1.00 contact hours. Cite at least five benefits of therapy in a group setting. Describe the four entities of the Functional Group Model. Describe two ways to initiate and promote group therapy via in-service training. List four potential problems of working within a group setting. Explain at least three aspects of group dynamics that one-on-one therapy does not supply. Define two major types of group therapy that provide for cognitively challenged individuals. The target audience for this course is: entry level Occupational Therapists; entry level Physical Therapists; in the following settings: Post-Acute Care.